Do I need Workers’ Compensation coverage for my gardener or my housekeeper? No, if they are not working for you full-time and also provide same service to other customers, they are not considered your employee. But, if you have a full-time nanny or housekeeper, check to see if Workers’ Compensation coverage is provided on your Homeowners Policy. You might need to purchase a separate policy so be sure to review with your agent. Why should I buy insurance if I am only renting? Renters insurance protects your possessions and helps with living expenses in the event of a natural disaster or catastrophe. What if a pipe bursts or a spark ignites a blaze and you have to temporarily move to a motel and your personal belongings are ruined? What if thieves find the unlocked door and steal your stuff? 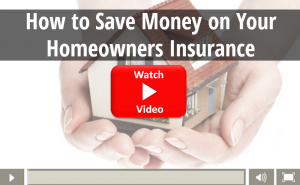 The homeowner’s policy will not provide coverage for your belongings. Can you afford to replace everything you own? Is the jewelry I recently inherited from my grandmother covered if stolen or lost? Homeowner policies provide limited coverage for jewelry if stolen and may not cover mysterious disappearance, be sure to check your policy for exact limits. Typically coverage does not exceed $500. In order for your jewelry to be covered for its full value, it must be scheduled and might require an appraisal. The same would be true for any other priceless heirlooms. Be sure to talk to your agent about antiques, artwork, collections, and any other items that would be irreplaceable. Do I need to buy coverage for my unlicensed ATV’s? Can I get insurance for my wedding or the retirement party we are hosting for my dad? Do I need Identity Fraud coverage? Yes – Identity fraud is the fastest growing white-collar crime in America. No one is immune to identity fraud and the restoration process of your good name, financial and medical history, and credit worthiness can be both time-consuming and expensive. You come home to find that your house is on fire. Would you be able to afford to fix all of the damages out of your own pocket? Most likely not. Homeowners insurance will protect the physical structures of your home as well as your belongings. You never know when weather, theft, or sudden accidents will affect your home. 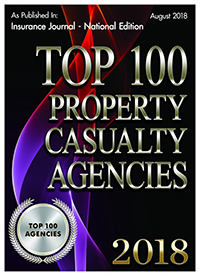 Talk to your agent today to determine the best protection for your property. Automobile accidents happen on the road all of the time whether they are caused by texting, drunk driving, sudden stops, etc. 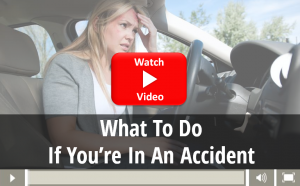 You can never predict when an accident will occur, so it is wise to be prepared for the worst-case scenario. Auto insurance can also help when you need roadside assistance, towing, locked your keys in the car, or have a flat tire. In some situations, just having the basic auto and homeowners policies is not enough to cover the costs of an accident. Do you have enough coverage to protect your valuables and assets if sued? Umbrella Insurance provides additional Liability coverage to protect your assets against lawsuits, injuries, and physical damage. 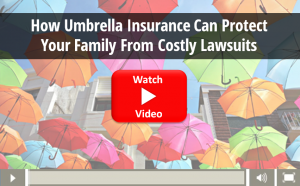 A personal umbrella policy will cover the gap in your auto and homeowners insurance coverage. Most people have an automobile policy as well as a home or renter’s policy because they know what is valuable to them and worth protecting. Bundling insurance is the obvious choice to make if you have multiple items to cover. 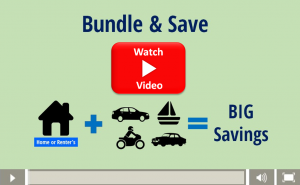 Bundles can provide significant discounts to save you money as well as time. Imagine coming home from work to find that a thief has broken into your apartment. Property owner’s insurance does not protect your personal belongings from events such as thievery, flooding, or fire. 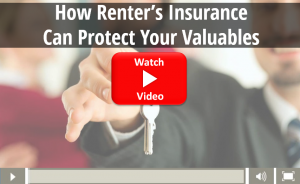 If you do not have renter’s insurance, you will be out of luck and forced to repurchase your belongings out of your own pocket. Renter’s insurance will cover the costs of lost assets and provide you with Personal Liability coverage. Being a property owner comes with many responsibilities. 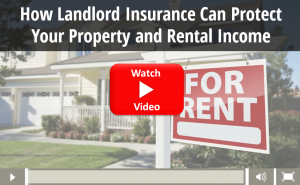 Having landlord insurance will give you a peace of mind that your assets are protected if nature or renters damage the property. Landlord insurance covers only your building’s assets such as the physical structures, parking garages and items you put into each residence such as a washers and dryers. It would be a shame to invest in a condominium without giving it the coverage needed to guarantee protection in situations that are out of your control, such as plumbing damage and vandalism. Having condominium insurance will give you a peace of mind and spare your personal income if a loss were to happen. Take the time to go through your home and make a detailed list of all of the personal belongings in your house. 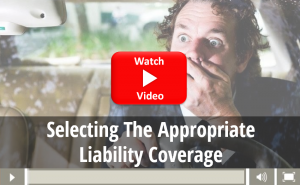 This will help you to remember exactly what you possess in case anything were to happen which would require you to report the loss in an insurance claim. 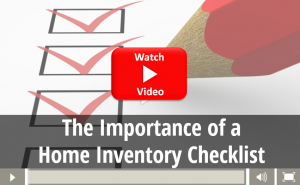 This checklist should contain the quantity, serial and model number, year purchased, and cost of each item in order to know the estimated value of your loss. 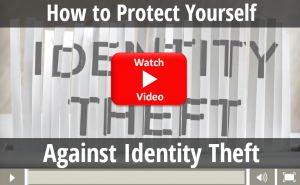 Take the extra precautions necessary to avoid being a victim of identity theft. All an identity thief needs is your name, address, SSN & DOB to drain your bank account and cause other damages to your identity. Talk to your agent today about adding identity theft protection to your existing homeowner’s or renter’s policy. If you have a teenage driver, it is important to insure them as soon as they get their driver’s license. Many parents make the mistake of not doing so, which creates problems if the teen gets into a car accident. Stress the fact that your teens need to wear seat-belts at all times and to not use their cellphones while driving or even stopped at a red light. 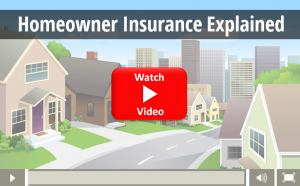 When going over homeowner’s insurance with your agent, it is important to discuss what is not included in the policy. Do not assume that your current insurance covers everything. 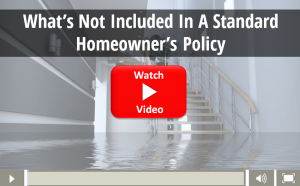 A standard homeowner’s policy does not include earthquake, mold, flooding, or sewer drain backup coverage. There are limits if you have expensive jewelry or art; get items appraised so you can get the full amount of coverage if anything were to happen. Let’s say you get in a collision that is your fault or caused by another person driving your vehicle. Your liability coverage will not pay for your own car, but it will cover the injuries and damages caused by your vehicle. Depending on how bad the crash is, it may not even pay for all of the other car’s damages. You will be liable to pay out of pocket what your insurance does not cover when it comes to bodily injury and property damage. 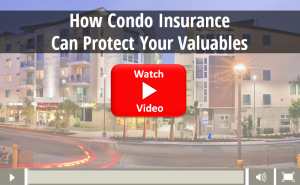 Although your homeowners, condominium or renter’s insurance provides coverage for your personal items, it usually does not completely cover valuables you possess. You should consider getting an inexpensive floater add-on to your existing policy, which will give you the full value of your damaged or stolen items. Talk to your agent today about floaters if you own expensive jewelry, guns, collectibles, or anything else with a high value. California residents are most wary of earthquakes since they occur frequently. 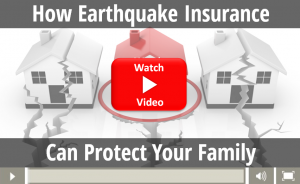 To most homeowner’s surprise, their standard home insurance policies do not include earthquake damage. It only takes a strong earthquake a few seconds to cause enormous property damage to an area. If an earthquake were to hit your hometown, would you be able to afford to repair your house and live somewhere else temporarily? Everybody loves saving money. 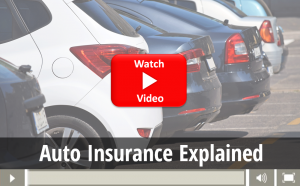 Do you have multiple cars that need insurance? You can receive discounts for insuring all of them. Discounts are also available for safe drivers, students with good grades and drivers over 55. 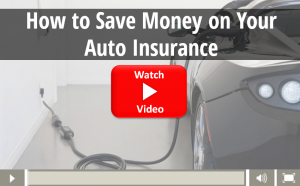 You also should look into bundling your auto insurance with homeowners, umbrella, etc. for additional discounts. Everybody loves saving money. Do you have a home security system, fire alarms, or automatic gas shutoff in your house? If you have certain security features in your home, you may be eligible for discounts on your homeowners insurance. Bundling your homeowners insurance with other policies such as auto and umbrella will save you money through bundling discounts. 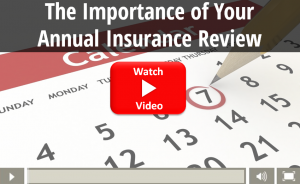 It is important to review your insurance policies annually with your agent to identify any gaps or overlaps in your coverage. Your agent will determine if any life events have changed your coverage needs: the birth of a child, a new teen driver, or taking on the responsibility of an aging relative. 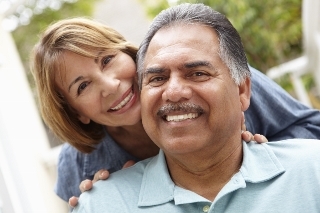 All life changes can affect your current insurance needs. 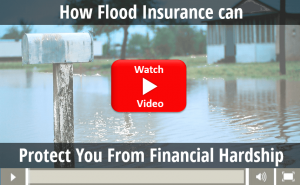 In the scenario of heavy rainfall or failed levees and dams, is your home covered for flood insurance? Your homeowner’s insurance only protects you from damages caused by water inside of your house. You cannot rely on federal disaster relief programs to help repair the damages. Get flood insurance today, because there is a 30-day waiting period from the date of purchase before your policy goes into effect. You want to be prepared in case an unexpected disaster does occur in your area. You are driving home from work when another car crashes into you. Do you know what to do? Pull over to the side of the road and check yourself for injuries. Call the police in order to file a police report. Exchange your contact, car, and insurance information with the other driver. Take pictures of both vehicles so you have tangible evidence of both damages. Contact your insurance agent immediately to find out what steps to take next. 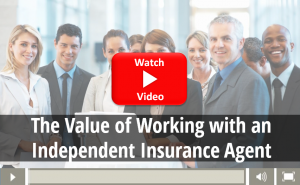 Working with an independent insurance agent has its benefits. They are loyal to their customers and have your best interests at heart. Your agent should provide quotes for you through multiple carriers to help you make the best decision. They should also work with you to assess your needs, budget, and give you the best rates available.